On behalf of the entire Red Sox organization, I want to thank you for your unconditional support, passion, and dedication. As a Season Ticket Holder, you are the heart and soul of Red Sox Nation, and we are grateful for your undying loyalty to the team. As a gesture of our gratitude, we are excited to present you with a loyalty program offered exclusively to Season Ticket Holders: Red Sox Rewards. 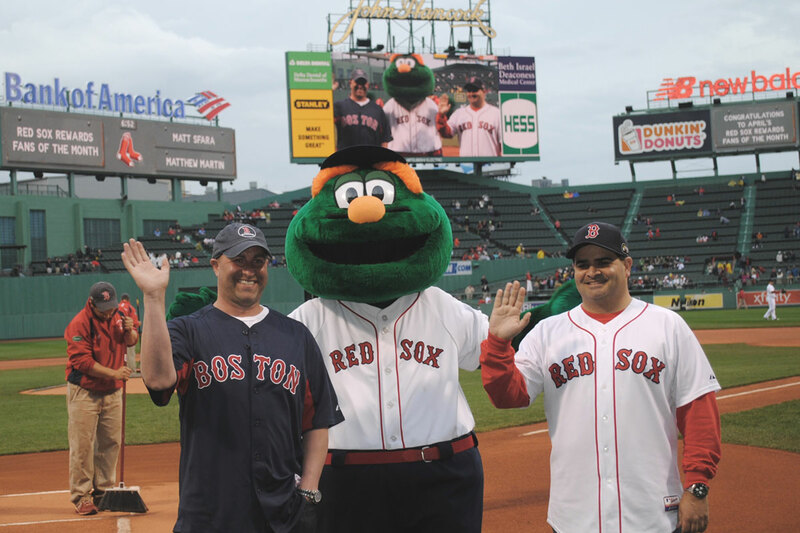 Through this Rewards program, you will have the opportunity to enjoy once-in-a-lifetime Red Sox experiences, such as throwing out the first pitch, watching a game from the Owners' Suite, spending an inning inside the Green Monster, or even going on a road trip to watch the team. Please take a moment to review this website for more information about this exciting program. Thank you again for your continued support of the Red Sox! You can win once-in-a-lifetime Fenway Park experiences, redeem points for Red Sox tickets and memorabilia, and earn additional member benefits simply for what you already do as a Red Sox Season Ticket Holder. Log in or download the Ballpark App to get started! Use your Points to bid on once-in-a-lifetime experiences like throwing out the first pitch or watching a game from the Owners' Suite. Redeem your Points for prizes such as autographed items, on-field passes, player parking passes, scoreboard messages, bobbleheads, additional game tickets, and other items. Also, you can use your points to enter one of our many raffles for exciting experiences and other prizes. The two members that earn the most average points during the season will win a road trip to watch the team at a visiting ballpark. You can redeem your Points for items at a “Buy It Now” price, such as autographed photos, additional game tickets, scoreboard messages, and more. In addition, use your points to enter one of the many raffles for exciting experiences and other prizes. These are calculated via Average Points – your Total Points divided by the number of seats in your plan. That way, all members have an equal opportunity to attain each level regardless of their number of seats. (1) Enter the code displayed on the scoreboard in the 8th inning to receive these bonus points. (2) Points from concessions purchases are NOT awarded on a per-seat basis. You will receive 5 Total Points per $25 spent, regardless of the number of seats in your account. You must scan your Rewards card or mobile device at the register to receive the points. (3) NESN or MLB.TV out of market only. (4) WEEI or MLB.com Gameday Audio only. Finally, you will earn bonus points if you are in attendance at a home game with exciting in-game results by the Red Sox.  Receive points for all food and beverage concession purchases regardless of your payment method! 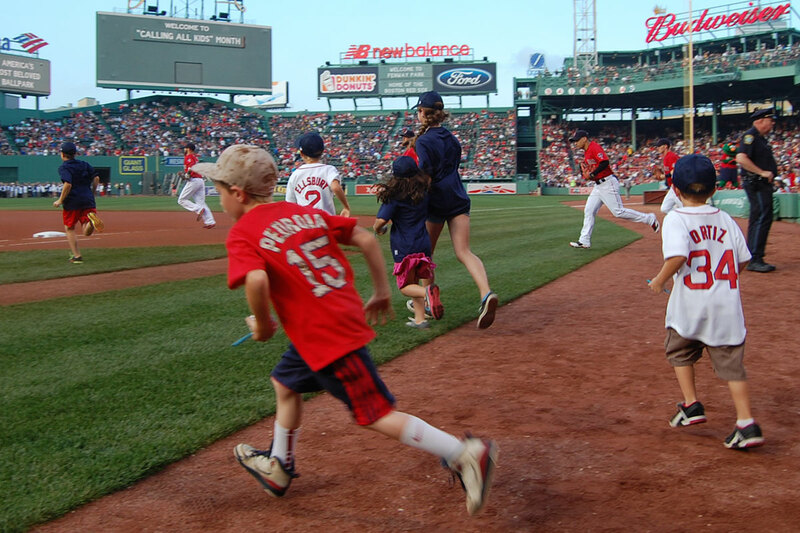 Simply scan your Season Ticket Holder card at the register to earn 5 Red Sox Rewards points for every $25 spent.  Earn 100 bonus points per seat the first time you load eCash using your Mastercard and 200 bonus points per seat if you set up auto load using your Mastercard.  Plus, you can receive points for all food and beverage concessions purchases regardless of your payment method! Simply scan your mobile device at the register to earn 5 points for every $25 spent. We would love to hear from you! Email rewards@redsox.com or contact your Season Ticket Account Executive with any questions. If you would like to learn more about the various aspects of this program please watch the brief tutorial videos below. Please check back as we will add additional videos from time to time. + What is Red Sox Rewards? 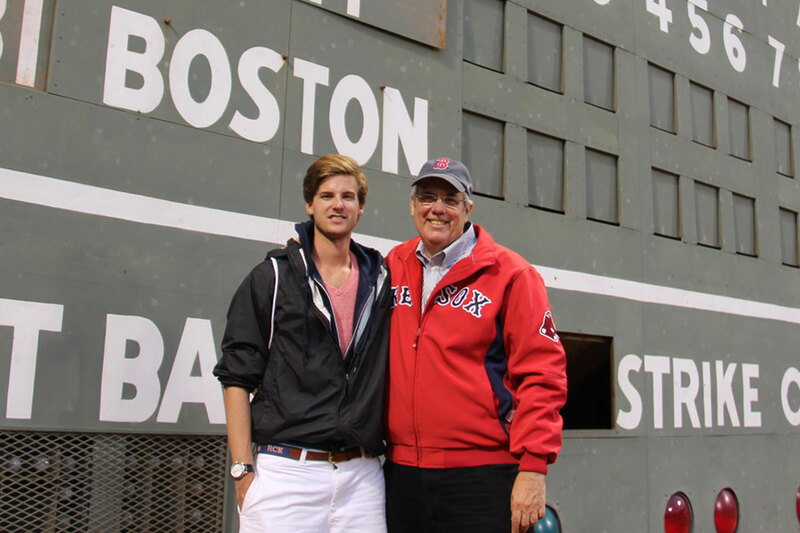 Red Sox Rewards is a program designed to reward Season Ticket Holders for your loyalty and dedication to the team. 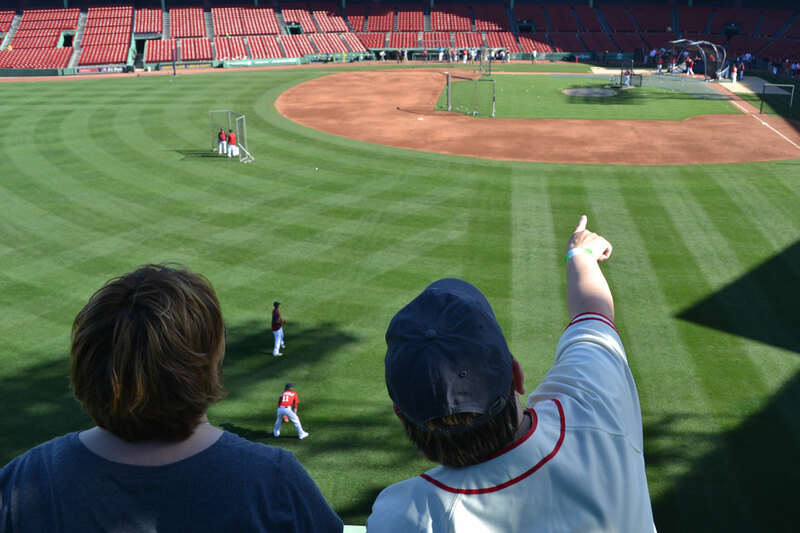 This program provides Members with access to some of the most memorable once-in-a-lifetime experiences that a Red Sox fan could ever want. + Who is eligible for Red Sox Rewards? All Season Ticket Holders with A, B, C, and S plans, as well as 10/20 game holders. + What is the purpose of Red Sox Rewards? The purpose of Red Sox Rewards is to provide greater value to the team’s most loyal fans — Season Ticket Holders — by rewarding them for things that they already do. The program is the team’s way of showing its appreciation to them. + Is there a cost to join? No, it is a benefit that is included as part of your Season Ticket package. + Where can I read the program terms and conditions? You can read the complete program terms and conditions at http://mlb.mlb.com/bos/fan_forum/rewards/terms.jsp or in the Terms and Conditions section of the Red Sox Rewards Portal. + Who do I contact with questions, concerns, or suggestions about the program or my account? We appreciate all feedback and are always eager to assist you. 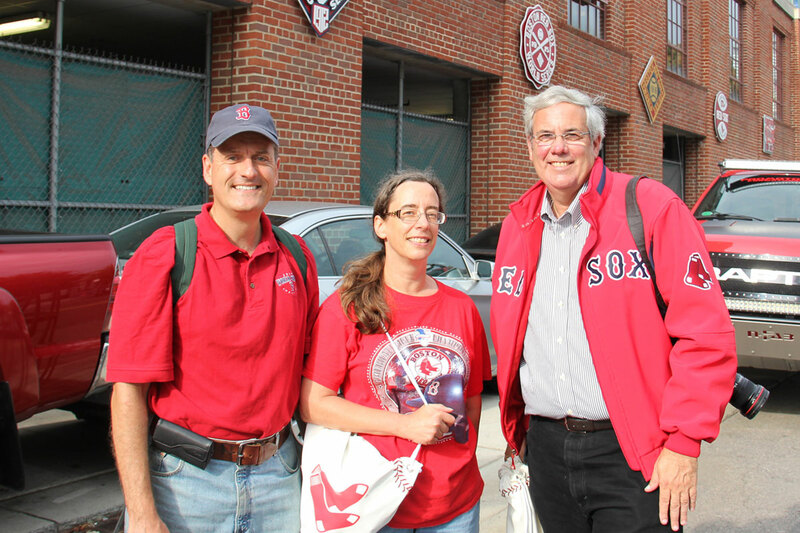 You can contact your Season Ticket Account Executive, or call the Ticket Office at 877-REDSOX-9. 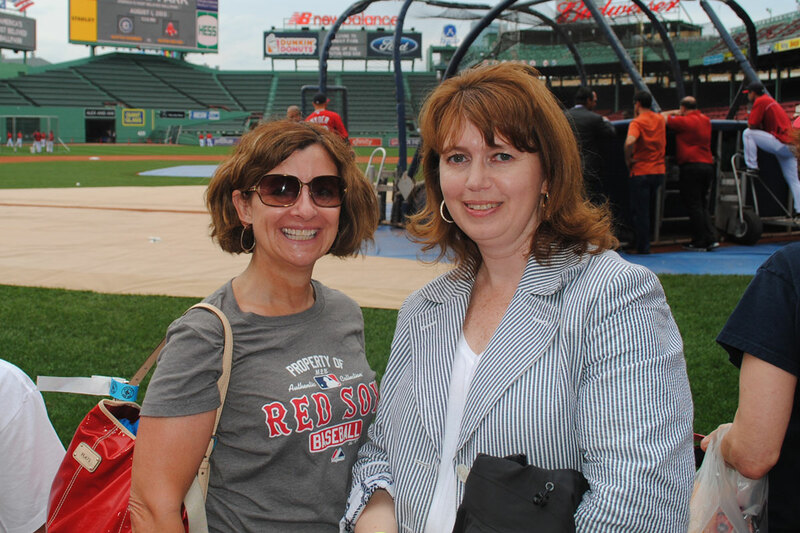 If emailing with questions about your account, contact your Account Executive or ticketoffice@redsox.com. If emailing with questions about Red Sox Rewards, please send to rewards@redsox.com. + How do I change my contact name, address, or other account information? The contact information that is listed in your Rewards Portal account is the information associated with your Red Sox Season Ticket account. All updates to your account information must be submitted in writing. For more information, please contact your Season Ticket Account Executive or ticket office at 877-REDSOX-9. + How do I log in to the portal on my desktop computer? 3. Log in using your mlb.com credentials. If you cannot remember your credentials, please contact your Account Executive or call 877-REDSOX9. If you do have an mlb.com account, please create one. 4. Once logged in, you will want to link your mlb.com account to access the portal on your mobile device. + How do I log-in to the portal on my mobile device? + Do I need an MLB.com account? Yes. When you download the MLB.com Ballpark app, you will need to create or log in with an MLB.com account. An MLB.com account is free and easy to create directly from the MLB.com Ballpark app or any Redsox.com webpage from the top navigation bar. + What happens if I forget my MLB.com account or password to log in? + How do I link my Red Sox Rewards account? Via the My Tickets desktop, log into your account and select the grey Red Sox Rewards Login under the My Ticket Inventory tab. Once your Red Sox Rewards portal appears, select the My Information tab on the left hand side and then select Connect to MLB.com. Hit the connect button and enter in your MLB.com account. Once completed, go back to the Ballpark app and refresh the page and your Rewards card will be displayed. The digital Rewards card can be used for kiosk check-ins, eCash and early entrance to the park via Gate C.
+ How do I access my digital Red Sox Rewards card? Through the MLB.com Ballpark app you will also have access to your Red Sox Rewards Card (for Season Ticket Holders only). In order to display your Red Sox Rewards card you will need to link your Rewards Account to your MLB.com account. + How do I request a physical card? In 2018, we will no longer offer physical cards. All cards will be accessed via a mobile device. + How do I earn points for watching or listening to a road game? At some point during the television broadcast, the code word of the game will be featured in a Red Sox Rewards graphic on the bottom right hand of the screen as the game is returning from commercial break. The code word will also be announced at some point during the radio broadcast. Log into the Red Sox Rewards Portal, look for the “Game Codes” box on the home page, and enter the code word to collect your points. And remember: the code words for the television and radio broadcasts are different. + Can I purchase more points? Unfortunately you cannot buy points to add to your account. The only way to accumulate more points is to earn them. + Will I earn points for purchasing additional tickets outside of my Season Ticket Plan? Yes, you will receive points for any additional game tickets that you purchase, as long as you make the initial purchase from your Season Ticket Holder account. Any additional tickets purchased under a different account will not be eligible for Red Sox Rewards points. Please note that points earned from additional tickets purchased will go toward your Total Point balance only, and not your Average Point balance. That means you will be able to redeem those points on Auctions, Marketplace, and Raffle items, but they will not count toward the Fan of the Year or the member tier calculations. + What's the difference between Earned Points, Total Points, and Average Points? The points you earn during the season for your activity – such as attending and watching games, using digital ticketing, and spending eCash – are deposited into your Total Points balance. Total Points accumulate based on your activity for each of the seats in your plan. For example, if you scan two digital tickets through the turnstiles, you will earn 60 points per scan, for 120 Total Points. Similarly, if you have two seats in your account and you redeem a road game code (5 points per seat), you will receive 10 Total Points. Total Points is your ‘currency’ for bidding on Rewards Auctions, redeeming for items in the Marketplace, or for entering Rewards Raffles. Average Points represent your total points divided by the number of seats in your plan. Average Points are used to calculate membership tiers, as well as determine the standings in our Fan of the Year competition. This was created to put everyone on a level playing field, regardless of how many seats are in your plan. Note that certain parts of your Total Point balance do not factor into your Average Point calculation – for example, rollover points from last season. These are available for you to spend on Auctions, Marketplace, or Raffle items, but do not factor into your Average Point balance. In other words, your Average Point calculation in 2017 will be based on the points you earn from your activities in 2017. + What are Partners and how do they work? If you share your season tickets with a group of people and want to share your points among them, you can register them as partners. They will receive an email invitation to set up their own Red Sox Rewards account so that they can earn their own, separate balance of Red Sox Rewards points for the tickets they use. They will also receive a digital member card which will allow them to manage an eCash balance or link their concession payments to their account. + How do I request an account for my Partners? You can request an account for up to eight (8) partners on your season ticket account. Simply log in to your account and provide an email address, and your partners will receive an email with instructions on how to set up their own account. + If I request Partner accounts, how are the points awarded? If you request Partner accounts, each partner will receive access to their own account and earn their own Total Points and Average Points. You will not receive any points for tickets that your partners use. In short: if you do not want to share points, do not send any partner requests. If you would like your account partners to earn their own, separate point balance, then register them as partners. + Can I transfer points to and from my partner accounts? No. Once you register any account partners, they will receive points from any tickets they use. You will not be able to transfer those points back to the primary account. + If I win an auction and spend all of my Total Points, does this affect my Average Points amount or Member Tier status? No. Average points are calculated via the Total Points you have earned over the course of the season (similar to how airline miles programs track “lifetime miles earned”), regardless of when you choose to redeem those Total Points. When Total Points are deducted from your account to pay for an Auction or a Marketplace Reward, it won’t reduce your Average Point balance—those are tracked separately. In other words, redeeming your Total Points balance on an Auction item will not affect your position in the Fan of the Year standings. + If I believe there was an error in my points calculation, what should I do? If you believe that there is an error, please contact your Season Ticket Account Executive or email rewards@redsox.com. We will work to quickly address the problem. + If I Toss, Donate or sell my tickets, will I still get points for the tickets being used? Yes, you will earn Points for your ticket being used at all, regardless of whether you use it yourself (unless you toss your ticket to a partner on your account, in which case your partner will earn points instead of you). For tickets donated to the Red Sox Foundation (via your My Tickets account), you will receive an additional 5 points for each ticket that you donate, on top of the 10 points for each ticket scanned into the game. If the tickets are not used, no points will be awarded. + Will my accrued points carry over from one season to the next? Red Sox Rewards will allow you to rollover 25% of the balance of your remaining Total Points each season. For comparison, other teams with similar programs have members' entire points balance expire at the end of the season. 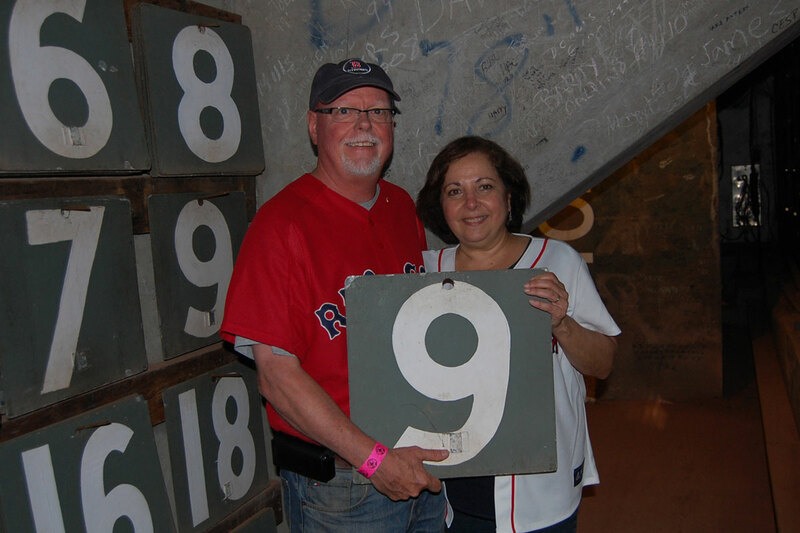 Average Points are reset to zero at the end of each season to ensure that every Red Sox Rewards member has an equal opportunity to earn the Fan of the Year prize and enjoy the commensurate rewards. Early Entrance Bonus: Members who arrive to the game at least 45 minutes early will receive 5 points per seat. 'Complete Game' Code Word Bonus: Toward the end of home games (in the 8th inning), a code word will be displayed on the New Balance video board. You can enter this code word in the member portal to receive an additional 5 points per seat bonus. Ticket Donation Bonus: When you donate a ticket to the Red Sox Foundation (available in the My Tickets interface), you will automatically receive 5 points for each ticket donated. If the tickets are scanned in at the game, you will still receive 10 points per scan. In-game Points: When the Sox score, you score! Digital ticket users will receive in-game bonuses every time the Red Sox hit a home run, a grand slam, or record a walk-off win. You will also earn points if a Red Sox starting pitcher strikes out 10 or more batters, or throws a no-hitter! Paper ticket users can also earn this bonus by scanning their Rewards card at any of the five kiosks located inside the entry gates. + What can I do with my points? Red Sox Rewards points can be redeemed, for three different types of rewards: (1) bidding on Auction prizes, (2) obtaining Marketplace items for a set point value, and (3) Raffle entries. Additionally, your Average Point balance automatically qualifies you for certain membership tiers and benefits over the course of the season. You don’t need to redeem anything to receive those benefits! + What sorts of items are available through the auctions and marketplace? + What are my chances of winning a Reward? + Can I suggest a potential reward? Yes! We always encourage feedback and would love to hear from you. Please email rewards@redsox.com to submit a suggestion. + How many points can I bid on an auction? You can bid up to your current Total Points balance, either on a single auction or across several auctions. Once you win an auction, those points will be deducted from your total points balance. You can see your available points within each auction listing ("Total Points Available to Bid"), right above the bid entry box. + Can I win an auction multiple times? If you win an auction prize, you may not bid on that same experience again throughout the season. We would like as many unique members as possible to enjoy each experience. + How often do auctions run? Mark Wednesdays down in your calendars! Most auctions will run weekly, opening on Wednesday evenings and closing the following Wednesday at noon. Look for announcements in the member portal of any special auctions that run on a different schedule. + If I don't win an auction, do I lose the points I used to bid? No. Points will only be deducted from your account if you win the auction. + If I enter a raffle and don’t win, will I get those points back? No. Raffle entries are not refundable, win or lose. + How do I win Fan of the Year? Fan of the Year is awarded to the two individual eligible members that have earned the highest amount of Average Points over the course of the season. Each eligible member can earn the Fan of the Year prize once during their Season Ticket Holder tenure. If the member with the highest points at the end of the season has already received this prize, he or she will still be recognized as one of the Fans of the Year, but the prize will be given to the eligible member with the next highest point total. + What are Membership Tiers? 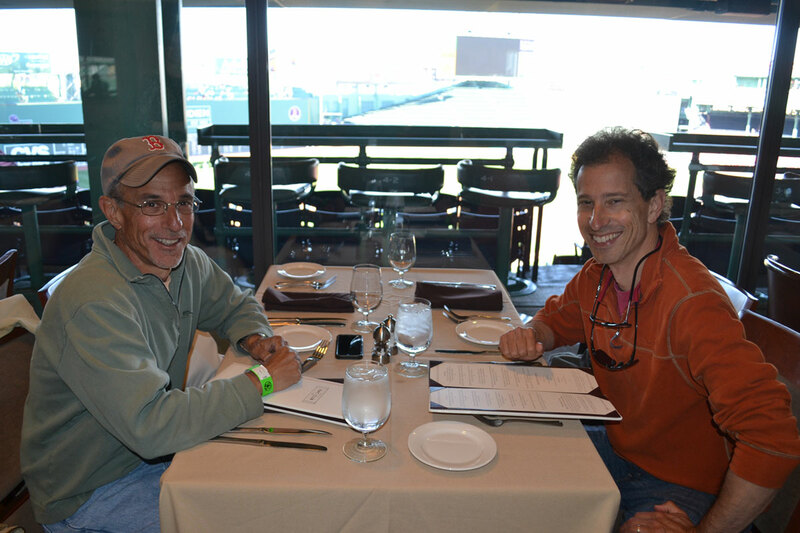 Membership Tiers represent your status as a Red Sox Rewards member and entitle you to particular Red Sox experiences. All Red Sox Rewards Members start as Premier Members. As you earn more Average Points, you will reach different Tiers with different associated benefits. + What are the benefits of digital ticketing? Managing your tickets on your mobile device is more convenient than using paper tickets. You simply need to at the turnstiles to enter the ballpark, and can Toss tickets to others without ever printing a ticket. And eCash, is a more convenient form of payment for concessions that will earn you loyalty points for using it. + Is the choice between digital or paper tickets an all-or-nothing choice? No, you'll have a great deal of flexibility throughout the season to use digital or paper tickets and can manage this process through your My Tickets account. Your choice between digital or paper tickets is simply how you will receive your tickets initially. If you choose paper tickets initially, you can access your tickets on your mobile device when you want to attend a game (and earn digital ticket scan points in the process). Conversely, if you choose digital tickets initially, you can either print your tickets at home or forward your tickets to someone (including yourself) who can elect to pick up paper tickets at a Will-Call window at Fenway Park on game days. + Do I still need to register my account partners in the Red Sox Rewards portal in order to be able to toss my tickets to them? No – our new digital ticketing process means that you can toss tickets to anyone via My Tickets. You now only need to register account partners if you would like them to earn their own separate balance of Red Sox Rewards points. + Can I use my eCash at concerts or other non-baseball events at Fenway Park? 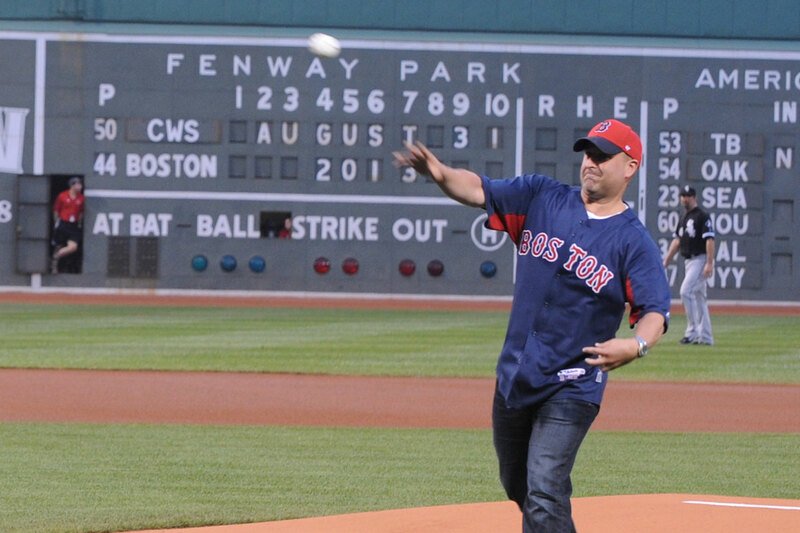 Yes, you can use eCash at any event at Fenway Park. + How does Auto Load work? Instead of making a one-time transaction to load eCash to your Rewards card, Auto Load allows you to link a credit card to your Rewards account. When your eCash balance falls below a certain amount, Auto Load will automatically charge your credit card and reload a specified amount of eCash to your Rewards account. These settings are available in the eCash section of the member portal. + Is there a minimum or maximum eCash balance? + What happens to unused stored eCash on my card at the end of the season? If your season ticket plan is renewed the following year, you can rollover your eCash balance and it will remain in your Rewards account, or you and/or your partners can decide to apply the balance towards your renewal payment for your season tickets. If the season ticket account is cancelled or not renewed, the Red Sox will refund your balance. + Will I receive points for merchandise purchases? No. Currently, our system is only set up to award points for food and beverage purchases at concession stands. + What are the Red Sox doing to protect my credit card information? How secure is the Red Sox Rewards site? We do not store any credit card information in the Red Sox Rewards portal. We use a credible PCI compliant payment gateway (Sage) to ensure that your information is absolutely secure. You will notice that all prompts to enter your payment information are being redirected to this website. + How do I correct an erroneous charge made to my eCash account? An Aramark employee will have an administrator card that will be able to reverse any erroneous eCash charges that are made. Alternatively, you can reach out to your Account Executive or rewards@redsox.com if you have any questions or issues following the game.